The iCloud Photos app had been available in beta form since last October, when it first debuted. In the following weeks, Apple had gradually added features, such as the ability to manually upload photos to the cloud. But now, Photos for iCloud.com is no longer available to access. Manually entering the URL for the app returns the error: "Can't load Photos. There was a problem loading the application." While it may be a temporary glitch, the disappearance of iCloud.com Photos at the start of 2015 comes as users are still awaiting the launch of the new Photos app for OS X Yosemite. Apple has said the new application will become available in early 2015, but has not provided a more specific launch window. Apple officially ceased development of both Aperture and iPhoto in favor of "Photos for OS X" last summer. The replacement Photos app will feature image search, editing, effects, and third-party extensibility, or plugins. 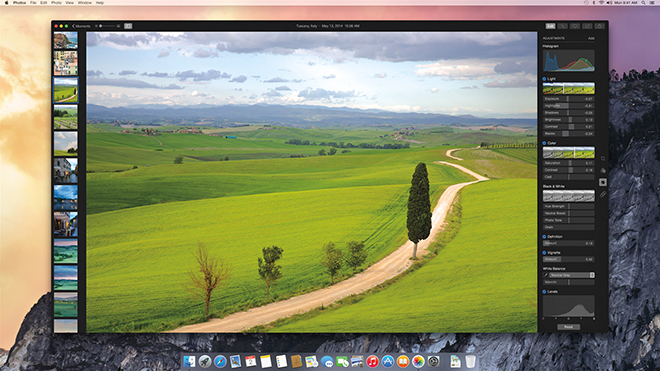 Photos for OS X is expected to be an in-between product, blurring the line between consumer and professional-grade image editing and management software. For example, while image adjustments like saturation, temperature and contrast exist in iPhoto, the Photos app will have a higher level of control akin to Aperture. Whether the disappearance of the iCloud.com Photos beta is related to Photos for OS X is unknown.